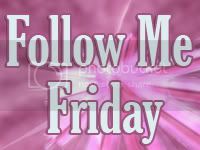 Testing Trisha ~ Single parenting at its finest: Follow Me / Aloha "Friday" - Are your lights up? Follow Me / Aloha "Friday" - Are your lights up? If your my newest Follower, Thank You, be sure to leave me a comment so I can follow you back! Aloha Friday: Answer my question in a comment. Play along, write your own "Aloha Friday" post then link up below and Ill be sure to stop by and answer your question! Are your Holiday Decorations still up? A: We took ours down already, and the only reason why is, Hubby is leaving for training next week and so either we took them down early, I take them down by myself, or leave them up until the end of February when he gets back... The outside lights on the roof was the main part I could not do by myself. It's kind of annoying me now that my neighbors still have their decorations up... Mine are down, theirs should be too. Also my question this week. We just took our tree down tonight and are using the chance to steam clean the carpet and all that. We decorate mid-December, so I like to leave stuff up for a big. We took all our Christmas lights down this week. All our decorations are down. That is how we spend New Year's Day every year. All our neighbors still have theirs up though. At our old house there was one family that left theirs up year round and just lit them for Christmas. Ugh! By the way, I am now following your blog. I would love it if you would follow me back. No more Christmas decorations here. The Elf on the Shelf went home on New Years during a tornado and everything else went the next day. Yes I start taking down the Christmas decorations today. However the Snow/winter villages and items stay up til after winter. We eat on snowman dishes and have snow villages lights. I like to see that all winter. It reminds me it's winter,lol. Everything is gone except some garland on my back fence. It was missed the other day and now it has snowed, making it wet. It will just have to wait. We took our decorations down new Years day. I find it a little annoying when I drive around and see houses with a yard full of decorations up. But I figure that they houses might be super busy so hopefully they will come down this weekend. Nope- took them down last weekend. I just took mine down on Tuesday this week. Thanks for joining my Follow Me Friday! I am now following you. Hope to see you again next week! Ours are down with the exception of a few odds & ends items that I still need to box up and carry to the basement. The only thing still up is our artificial tree. I'm just waiting for DH to pack it up. We are like a couple of the others, just the bare tree left. Bill took care of just about everything else while I was in bed this past Wednesday with my wicked migraine. He actually said my having the dogs watching over me in bed was really helpful because they weren't under foot. Yes we have lights up in 1 tree in the front yard!! Hubby should be getting them down this weekend!